Over at Truthout, Tyler Cullis and I have published an analysis of certain societal gains achieved in Iran over the past 35 years following the 1979 revolution. It explores a number of factors, namely that of the United Nations' "Human Development Index," which charts advancements over time with regard to access to education, health, life expectancy, and quality of life. ...those in the United States saw events in Iran in 1979 through their own distinctive prism, which was far removed from - and often quite antagonistic to - the very real aspirations and grievances of a revolutionary people. It would be hard to argue that much has changed in the interim: 35 years of demonization, distrust and denial have shaped US discourse regarding the revolution and its heir, the Islamic Republic. Consequently an honest and dispassionate assessment of the revolution's myriad and measurable achievements has proven elusive, if not altogether impossible. Meanwhile, exposition of its shortcomings and unforeseeable consequences (like Iraq's invasion in 1980) has been routinized to the point of exaggeration and exploitation. We argue that "perpetually casting the revolution as merely a backward embrace of medieval theology and a stubborn rejection of modernization and development does a great disservice to the reality (and messiness) of the Islamic Republic." Moreover, we conclude that "fictionalized representations of the Islamic Republic perform no service to Iranians, who struggle for a more just and equitable public space in their beloved country, and disrespects those who, after deposing a puppet dictator, set about improving the lives of their fellow citizens." Development metrics and statistics don't alone tell the full story or provide a comprehensive accounting of the consequences of the Iranian Revolution, of course. While women have gained substantial access to education, there are still very real and repressive limitations to their presence and roles in the workplace. For instance, as Faezeh Samanian has written, "Although women are unemployed at a rate of roughly twice that of men, one-third of doctors, 60 percent of civil servants, and 80 percent of teachers in Iran are women, according to the British historian Michael Axworthy." Women in Iran still face an upward battle when attempting to break into the political realm. Brain drain is also a substantial problem. Early this year, Iran’s Minister of Science, Research and Technology Reza Faraji Dana revealed, “Every year, about 150,000 highly talented people emigrate from Iran, equaling an annual loss of $150 billion to the economy.” Though perhaps an exaggeration fiscally, the point is made. "According to the International Monetary Fund, Iran has the highest brain drain rate in the world, writes Bijan Khajehpour. 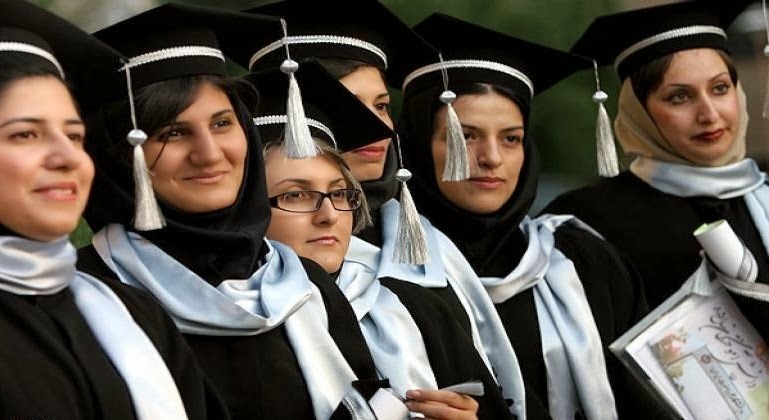 "An estimated 25% of all Iranians with post-secondary education now live in "developed" countries of the OECD." Of course, brain drain is often tied to economic issues and the influx of foreign investment into Iran provided a successful nuclear deal is struck would do much to stem, if not reverse, the trend. Same goes for personal and social freedoms; access to information must unrestricted and uncensored, human rights for all upheld, and the judiciary’s reliance on capital punishment abandoned. "As such, the country will need political, economic and social reforms to attract many Iranians to return to their home country," Khajehpour points out, adding, "Reconciling with the Iranian diaspora will be important — not just because of this potential brain gain, but also because of its potential to invest in the country and connect the economy to global technological trends." Besides the damage done to an honest appraisal of Iran's history, a failure to acknowledge the very real achievements of the Islamic Republic - including the way it rendered visible entire segments of the population that had before been scorned and denigrated (the rural poor, the religious classes, etc.) - risks exacerbating the rampant ignorance about the country here in the United States, serving only to further cultivate the damaging Manichean view of Iran so prevalent in our politics and press. Moreover, ignoring what the Islamic Republic has done right imperils efforts to create a more promising future for all Iranians - a lesson unlearned and thus doomed to go unheeded. Accurately assessing the fruits of the Iranian Revolution not only respects the value of truth but also the will and determination of the Iranian people to throw off the shackles of autocracy and continue their long revolution. Read our entire piece over at Truthout or here. Its Human Development Index (HDI) ranking of Number 76 is lower than Qatar (36), UAE (41), Bahrain (48), Kuwait (54), Saudi Arabia (57), Mexico (61), Libya (64), and Lebanon (72). Would you please do me and your readers the courtesy of publishing a process as a process? And please do not forget such things as war, sanctions and sabotage. "And please do not forget such things as war, sanctions and sabotage." Are we supposed to forget that Khomeini called the war a "blessing"? Are we supposed to forget that the Islamist regime refused Iraq's offer of a truce in 1982, after Iraqi forces had been expelled from Iranian territory, because they wanted to conquer Karbala first and then Jerusalem ("Rah-e Qods az Karbala migozarad")? Are we supposed to forget that Khomeini absolutely refused to end the war for the last 6 years until he finally and very reluctantly did so in 1988 (comparing it to "drinking a poisoned chalice")? Are we supposed to forget that the Islamist regime has engaged in embassy attacks, hostage takings, constant and officially prescribed "Death to America" rhetoric, and promotion of kidnappings, assassinations, and plane hijackings? Are we supposed to forget that the Islamist regime derived more income in oil sales in the years 2005-2013 alone (!) than Iran had during the entire preceding nearly 100 years going all the way back to the Qajar era?